Gürkan Genc is a Turkish traveler touring around the world on his bicycle since September 2012 having started from Turkey. He is intending to accomplish his World Tour in 2020 without returning to Turkey in the meantime. He isn’t using any other vehicles aside taking ferries or flights only for continental or island crosses! He is traveling on his bike, monitoring his route willing to set his records in Guinness World Records. He was born in January 15, 1979. He graduated from the Faculty of Communication, Department of Radio-Television-Cinema. He started his career in a TV channel montaging news. Then, after working as sales representative for several businesses he set up a company in food sector with two of his friends. Transferring his company shares in February 2010, he set off for traveling internationally. He speaks English fluently, uses body language in countries with unknown language to him. He is good in playing basketball, volleyball and soccer, snowboarding and water-skiing. He bought his first bike in May 2009. He met the “Ankara Thursday Night Bicyclists” community where he got familiar with bike and city biking rules and in the end began to commute on bike daily. 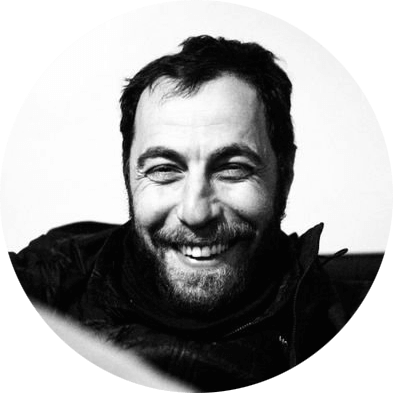 In September 2009, he completed his first long distance tour on bike from Amasra to Istanbul. In October 2009, he joined the “Gokova Bicycle Tour” organized by Mugla Bicyclists Association. He accomplished his first international tour from Turkey to Japan between April 2010-March 2011 which he called “Pedal for Nature” on his own budget. He pedaled for 12,500 km through Middle and Eastern Black Sea regions of Turkey, Georgia, Azerbaijan, Turkmenistan, Uzbekistan, Tajikistan, Kyrgyzstan, China, Mongolia, South Korea and Japan. He was the first Turk, who pedaled through Central Asian Turkic States, the entire North Asia and the Silk Road, the Karakum Desert in Turkmenistan, the Gobi Desert in Mongolia, the Wakhan Valley of Tajikistan requiring about 37,000 km of climb on bike in total and Pamir Gateway the so called roof of the world at an altitude of 4,650 m.
During 2011 and 2012, he shared his experiences with 25,000 people from 38 universities, 48 primary schools, 30 private and government agencies. He held four photography exhibitions. He made two short films which he sent to film festivals. Also on his tour around the World he meets with students and young people since 2012. Holding presentations he is sharing his experiences continuing to inspire people. During his tour around the World which he started in 2012, he is intending to travel in 84 countries traversing 7 continents within his project called “Pedal for Future” supported by his “dream partners” and “followers”. His route passes through the highest paved mountain passes and the biggest deserts in the five continents. He is monitoring his route with a road computer and a GPS device mounted on his bike willing to set his records in Guinness World Records. In December 2012, he cycled through Ukraine, in January 2013 traversed Russia and in February 2013 Finland and Sweden. He has faced minus 40°C at night in his tent, minus 57°C in winter and plus 61°C in the dessert in summer on his bike. He has become one of the few touring cyclists and explorers crossing the Arctic Circle in winter and traversing deserts in summer during a “World Tour”. He is the first cycling traveler traversing the deserts Kara Kum in Turkmenistan, Taklamakan in China, Gobi in Mongolia, Tabernas in Spain, Sahara in Africa, Arabian Desert in Middle East on bike. There are 3 deserts remaining to be traversed during this world tour. He accomplished 45,000 m climbs crossing the 32 Alpine passes in Germany, Switzerland, Austria, Italy and France. He crossed the highest paved mountain pass Col de la Bonette (2,802 m) riding through the most difficult legs of Tour de France on his 55 kg bike. he rode for 49.,200 km on his bike. Presently riding in South Africa he hasn’t returned to Turkey since 2012. He grants bicycles upon raffling among the young people sending the right answer to the questions related to his road memories on his web site about the cultures, economies and histories of the countries he traveled in. The readers both learn about the regions he traveled in and also support cycling life. He asks general questions about the cultures, economies and histories of the countries he traveled in mentioned in his road memories on his web site and gives educational scholarships upon raffling among the young people sending the right answer. He tries to support education as far as he can. Through the “Young Explorers Academy” he established he supports young people for traveling and learning about their country every summer. This project is carried out with members the bicycle teams of universities. He supports national athletes, in particular women, who had some success and did not give up due to some hardships or not achieving any support by participating in their success. He is willing to accompany them to the 2020 Summer Olympics. Frequently asked questions and answers about his tour around the world tour and him, what he is planning to do after the end of the tour. Turkey-Japan tour on bike articles and videos.